​ Who Is A.J. Dugger III? A.J. Dugger III has been writing his entire life. Hailing from Memphis, TN, A.J. moved to Middle Tennessee in 2004 and graduated from Austin Peay State University in 2009. 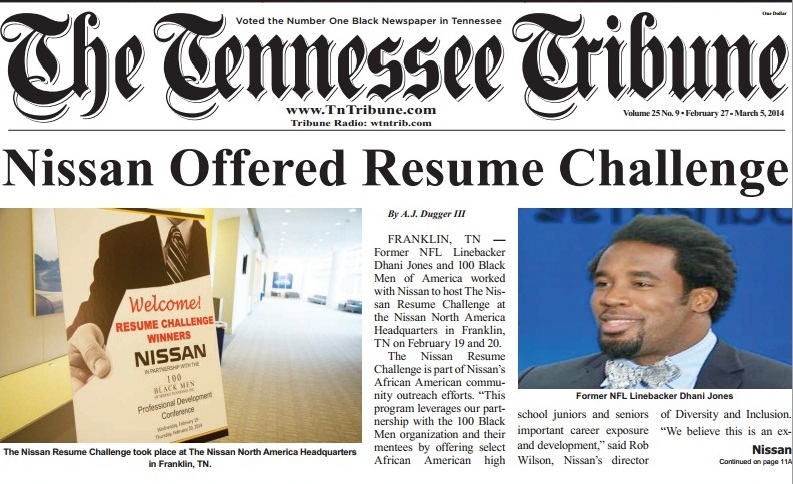 He began a successful journalism career by writing for publications such as The Bartlett Express, The Tennessee Tribune, Business Arts and Heritage Clarksville Magazine, The Murfreesboro Post, The Tri-State Defender, The Leaf-Chronicle, The Clarksville Sports Network, Clarksville Online, Black Clarksville, Thefix.com, and numerous other publications. He is the former associate editor and beat reporter for The Franklin Home Page in Franklin, TN. A.J. has interviewed and written about several celebrities including Actress Keshia Knight Pulliam, Heavyweight Champion Larry Holmes, Actor John Saxon, Journalist Soledad O'Brien, Actor Lou Myers, Evangelist Denise Matthews ( formely of Vanity 6) NFL legends Joe Theismann , David Thornton and Dhani Jones, 2x Heavyweight Champion Shannon "The Cannon" Briggs, Singer/Actor Terron Brooks, Gospel Legend Dr. Bobby Jones, Lead Singer of The Bar-Kays Larry Dodson, Singer Jon Jon from the R&B Group Troop, Actor Ross Hull, former Heavyweight Contender Marvis Frazier, New York Times Best Selling Author Tariq "Elite" Nasheed, The Strongest Man In Tennessee, Eddie Swanson, and many others. Former First Lady Michelle Obama read one of A.J. 's headlining articles. A.J. has covered many beats in journalism including breaking news, features, crime, sports, health, education, government, politics and others. To read examples, visit the "cover stories" or "gallery of work samples" on this website. The award-winning journalist has published two books; The Dealers: Then and Now and SoUtHeRn TeRrOr. Check out my Special Appearance On TV One's Crime Series "For My Man"
Click Here for a free excerpt from "The Dealers: Then and Now."